Revenue, IT, Labour & Employment Minister and the VC of IPB, Govt of Goa. incase of problems on water and electricity. Met a very talented dancer & choreographer Rajnikanth Thakur today. He’s a powerhouse of skills, having represented India in competitions all over the world and being awarded with recognition in the field of international dance. Very proud of him and every other artist who put in so much hard work! Wish him all the best for a bright future. 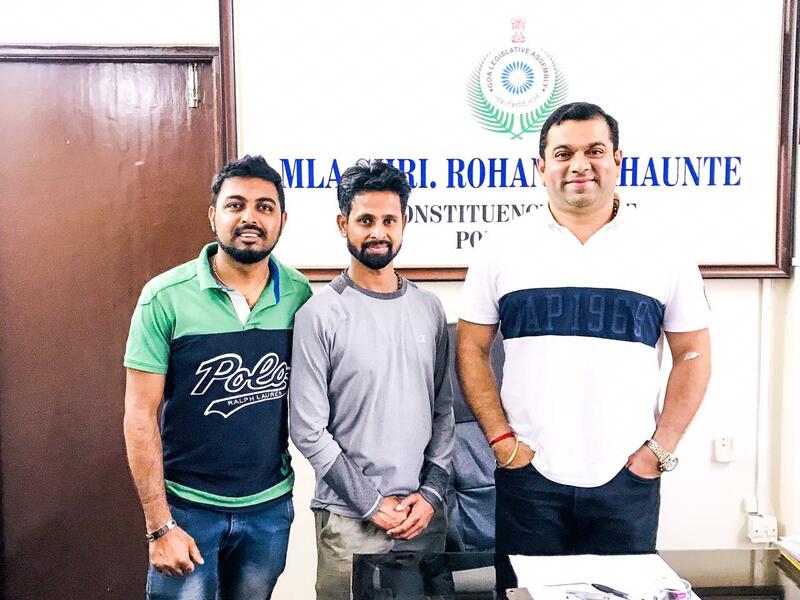 ROHAN, is an Electronic Engineer and has various Business Interests in the State, under the style of “GROUP SHIV SAMARTH” , employing over 200 local youth. His vision and achievements in business, earned him the “YOUNG ENTREPRENUER AWARD” at the hands of the Governor or Goa, Shri. Kidarnath Sahay in the year 2003. ROHAN has been a sports lover having himself represented the State of Goa in the field of Cricket and Basketball.